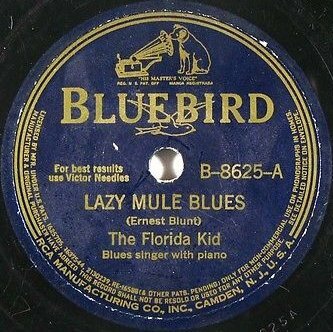 Today more releases of the Bluebird label from 1940. While in Europe the war was building up, mo-one in America had an idea that the country would get involved within a year with the attack on Pearl Harbor, and the subjects of the blues were the same as always. Today's set brings us the very first recording of a great classic of Leonard Feather - a Brithish born Jewish jazz and blues enthousiast who in 1935 moved to New York. He perfectly blended in the thriving blues and jazz scene and he wrote several great classics. On this Evil Man Blues - better known in its female version - Feather plays the piano himself.